The project of pricing logistics services in the Logistics-Services-Provider sector is extremely difficult due to the absence of adequate technical knowledge in the Logistics market. This knowledge is not taught in special and integrated approach. The Logistics market is in need of a sector responsible for recording all pricing methods as regards the provision of pricing services. This sector has to be fully functional, efficient, and rational. 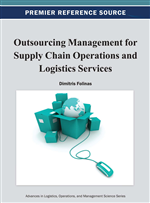 This chapter aims at the development of an integrated record for the identification and classification of the advantages – disadvantages and key criteria as regards the selection of pricing methods in the third party logistics (3PLs) market sector. The key finding of this chapter contribute to the identification and classification of pricing methods, possibly applied in future 3PL projects. Papasotiriou (2011) refers to 13 pricing methods for services on the basis of which the current article was inspired. All Logistics projects on undertakings relating to Logistics Outsourcing are registered in the database of the company ‘’beyond the best’’ (2010), the findings of said database led to the development of benchmarks and the evaluation of the advantages and disadvantages of pricing methods. Pradeep (2010) mentions that the dynamic pricing method requires very good information support and a managerial role to be entrusted to the [warehousekeeper] within the meaning of receiving tenders from other companies. Lukassen et al, (2010) concentrate more on the pricing of services in cooperation agreements. Kallio and Henri (2010) examine the issue of pricing with respect to the contracts signed by the [warehousekeeper] and the [depositor]. Lieb and Bentz (2004) within their research that breaks down the viewpoints of 3rd Party Logistics Providers CEOs mention that the existing competitive conditions in market operations lead to price pressure. Qureshi et al., (2007) refer to the due process for choosing selection criteria followed by 3PL managers. Among said selection criteria, a comparative effect is attributed to cost, meaning the value of the services provided. Based on market prices – competitive level prices. Per activity (activity based costing) of 3PL. Cost to serve + profit (profit advance fixing e.g. 30%). Calculated as a percentage of import values or sales value. Progressive pricing based on the percentage of import value. Per volume (the cubic measurement of imports – exports is required). Per load (the weighing-up imports – exports is required). Per surface of warehouse reserved for use on behalf of the depositor. Per transfer unit (pallet, container, item, inner pack). Per length of storage rack (number of panels, mesh pallets or racks). Based on the time period of resource employment (time driven). Hybrid pricing methods (namely the pricing of import – export of goods under different methods). A brief account of each of the aforementioned methods. Assessment of a method’s respective advantages and disadvantages for the [warehousekeeper]. Assessment of a method’s respective advantages and disadvantages for the [depositor].